Arsenal boss Unai Emery has reportedly been handed an injury concern as Sokratis Papastathopoulos has picked up a problem while on duty with Greece. The 30-year-old has been a key figure for the Gunners so far this season, making 30 appearances in all competitions as he has formed a vital part of their backline. Having worked their way back into the top four in the Premier League as well as the quarter-finals of the Europa League, Arsenal are approaching a crucial period of the campaign when their stars return from international duty. However, as noted in freelance injury analyst Ben Dinnery’s tweet below, Sokratis has reportedly sustained ankle inflammation and is a doubt to feature against Liechtenstein on Saturday. Time will tell if he is available to recover in time and can show that it isn’t a serious problem, but the Gunners medical staff will undoubtedly be keeping a close eye on him ahead of his return to north London next week. The last thing that they’ll want to see is Sokratis play and aggravate the inflammation further, and so it may well be a sensible decision to sit him out. Whether or not Greece boss Angelos Anastasiadis does so remains to be seen, but Arsenal will be hoping that they have their centre-half available for selection when they return to face Newcastle United on April 1. 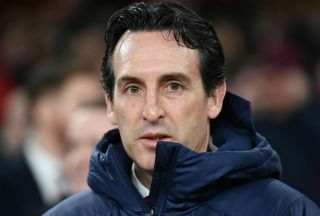 Emery last saw his side in action against Rennes which was already a week ago, and so he’ll hope that the remaining key individuals return from international duty with no fresh issues ahead of the run-in to the end of the campaign.